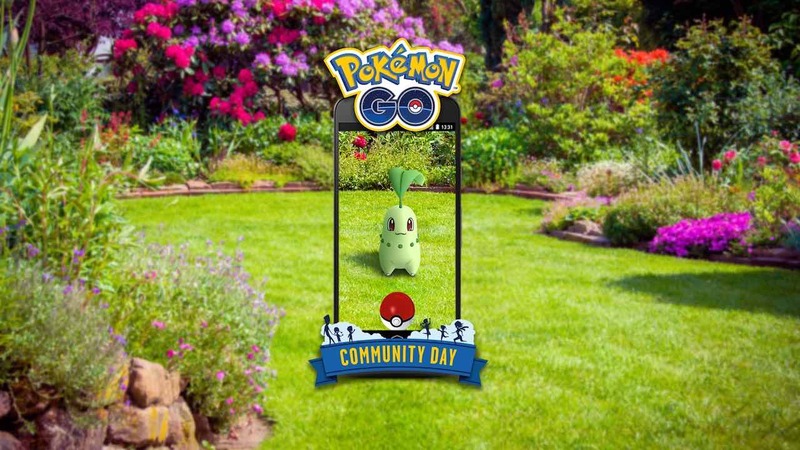 Niantic has announced when the next Pokémon GO Community Day will take place and that Chikorita will be the featured Pokémon. The Community Days are monthly events that feature a special Pokémon that will appear frequently around the world for a few short hours. And, if caught during the event, the Pokémon will know an exclusive move. The developer has chosen not to reveal the exclusive move just yet, but the Leaf Pokémon, which is a Johto region starter, can be evolved into Bayleef and Meganium – for those that still need to complete their Pokédex. As with previous Community Days, Shiny Chikorita are also likely to appear. The Community Day will take place on Saturday 22nd September 2018, and, Niantic confirms, will see Lures last for three hours and players have the chance to earn three times as much Catch XP.